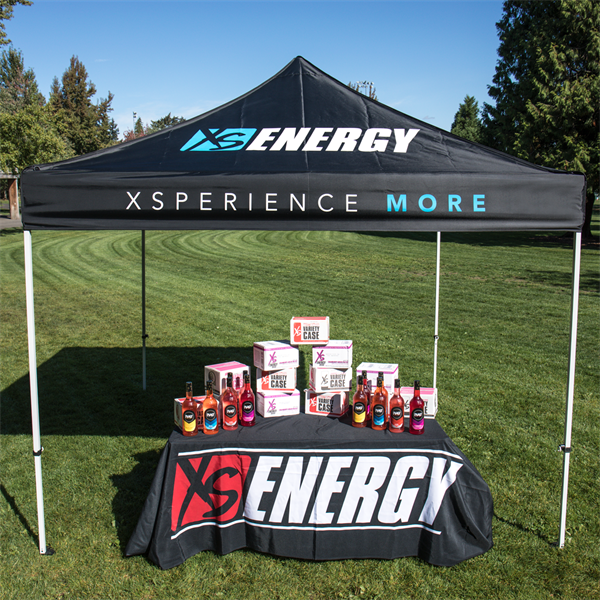 Our custom Caravan canopy is the perfect solution for indoor and outdoor events that can make you look like the high-roller that you are. 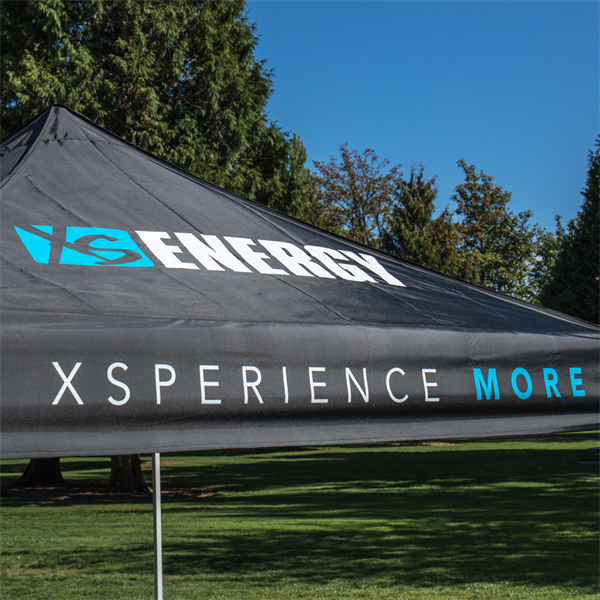 This custom 10'x10' tent has the XS logo on the peak panels and XSperience More on the valances. The collapsible steel structure is height adjustable to more than 7' of head room, and very easy to set up. To make life easier - it comes with it's own heavy duty rolling carrier bag. 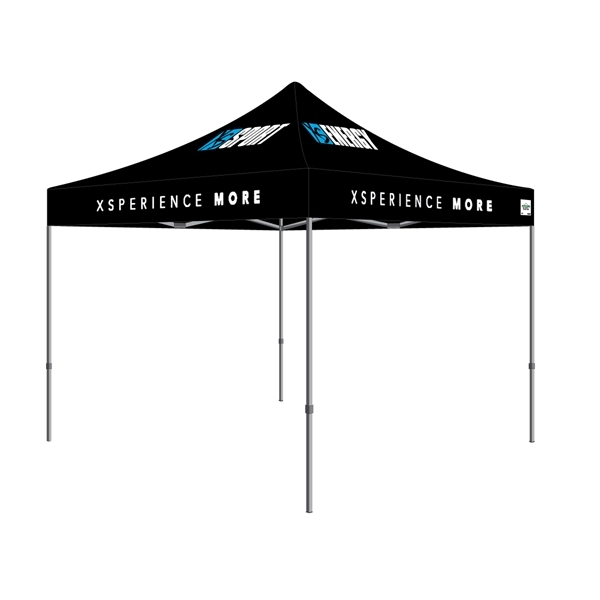 The custom canopy top is made of high quality 500D polyester. UV protected, water resistant and meets CPAI-84 & ULC-S-109 fire codes. Comes with stakes, rope, and deluxe rollerbag. 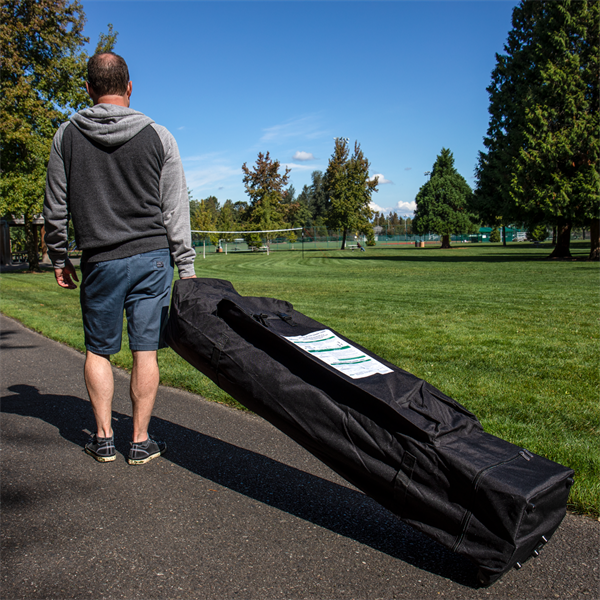 DUE TO THE SIZE AND WEIGHT - THERE WILL BE AN ADDITIONAL $40 FREIGHT AND HANDLING CHARGE ADDED TO YOUR ORDER. 2ND DAY AIR SHIPPING NOT AVAILABLE FOR THIS PRODUCT.